Play food is a staple for kids' imaginative play. Here it is framed around the Farmers' Market. What is great about this set of food is that there are lots of different types of fruits and vegetables to get kids exposed to the different names. 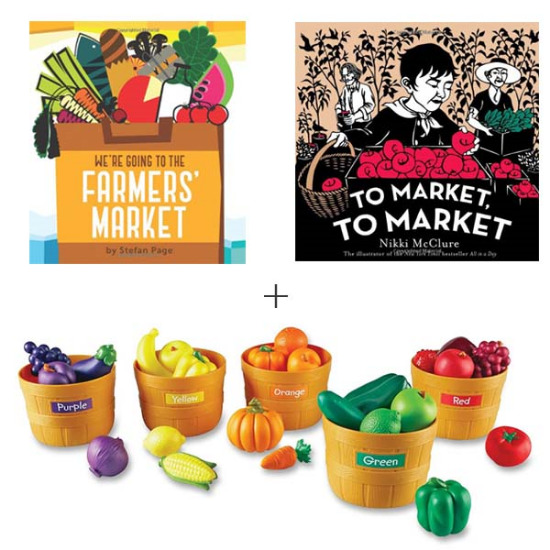 I also like how there are activity guides that a parent could help a child with, like sorting the fruits and vegetables by color. 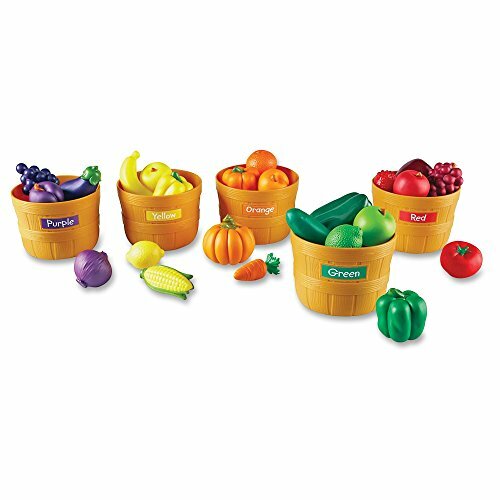 And, of course, these fruits and vegetables could be used for general kitchen play, too. I know the buckets would get incorporated into other play as well. This play food set is recommended by the manufacturer for children ages 3 and older, but some people feel comfortable with younger children playing with it. It's up to you whether you think your younger gift recipient is ready for these. 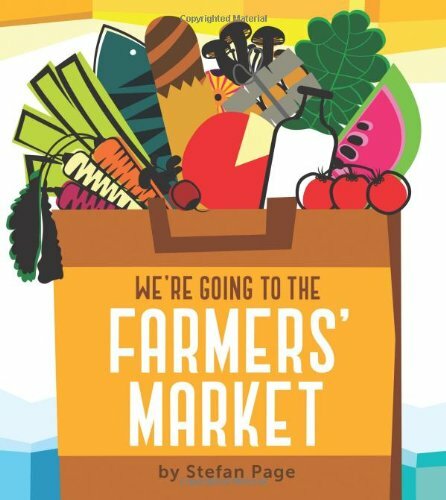 My favorite part of taking my kids to the farmers' market is that they happily taste test all the various foods, giving their opinion about which we should take home. I think we all love the peach and plum seasons best. Who knew there were so many yummy varieties?! 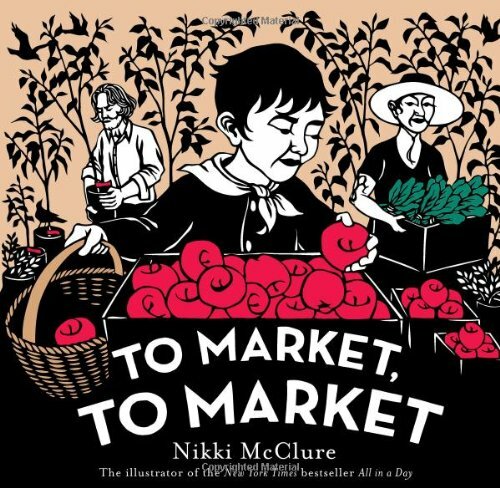 I would like to read both We're Going to the Farmers' Market and To Market, To Market with my kids. And either would make a nice addition to the play fruits and vegetables.